When it comes to size, few cities can beat Sao Paulo city. The largest city in the southern hemisphere, Sao Paulo is the eighth-largest city in the world. A massive cultural, economic and political superpower, Sao Paulo is home to some of the biggest international events as well as one of the largest financial markets in the world. There is just too much happening in Sao Paolo at any given time. Foregoing the major international events still ensures that there are enough local festivities, parties and entertainment options to keep tourists busy for a year. Brazil’s biggest financial centre, Sao Paulo is one of the richest cities in the world. There are over 70 massive shopping malls, over 1,500 banks and headquarters to over 60% of Brazil’s companies in Sao Paulo. Add to this the entire gamut of international events and the annual calendar is packed to the brim. 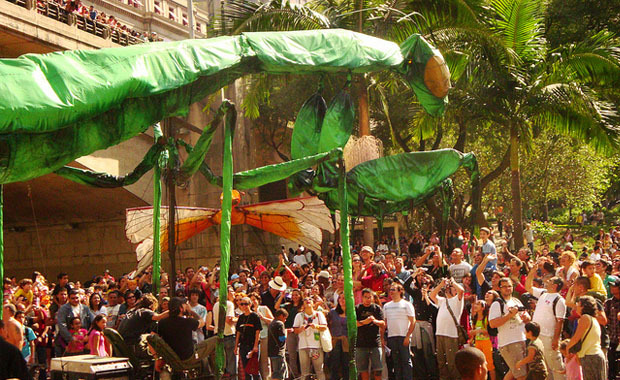 There is the Sao Paulo Art Bienal, an art-show held every two years and attended by over a million visitors each time. The Sao Paulo Fashion Week is amongst the top fashion events on the global scene while the Sao Paulo Gay Parade is a massive gathering with more than 3 million people coming in from all over the world. There is the International Transport Industry Show, the Sao Paulo International Film Festival, the Electronic Language International Festival, the FIA Formula One Brazilian Grand Prix and the Virada Cultural, a gathering of the 24-hours of cultural activities all over the city. The climate, in Sao Paulo, can be said to be a bit unpredictable. Monsoon is a major part of the climate with summer highs hitting up to 350C on average. The winters are quite warm with the lows going down to 130C. Between October and March, rain is almost a constant factor in everyday life. However, for the remaining six months, it slows down but never really goes away. 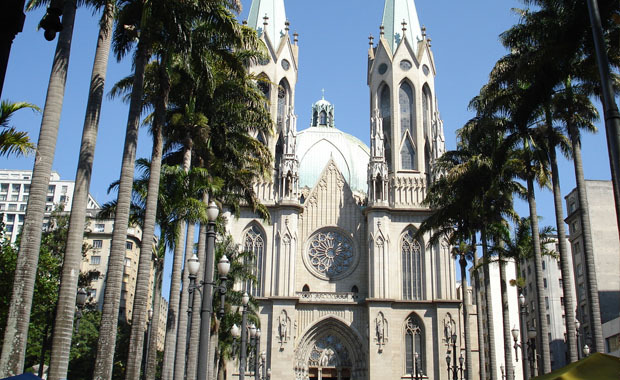 The best time to be in Sao Paulo is in the winter months, between April and September, when the weather is drier, the Sun is out and the city is brimming with activity. 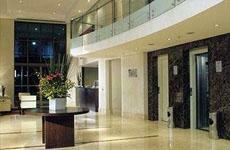 Staying at Sao Paulo means to surely give the Golden Tulip Park Plaza a shot. Every single modern designer boutique is within stone’s throw of the hotel while the Ibirapuera Park and the Sao Paulo Museum of Art are just around the corner. Just six-miles from the Congonhas International Airport, the hotel is well connected by public transport and gives guests a great starting point to enjoy the life in this colourful city. The hotel has some tastefully decorated rooms with all possible amenities. There is a wonderful whirlpool to go with the swimming pool and sauna (dry & steam versions). The hotel offers extensive spa facilities while the gymnasium is up to world-class standards with all the latest equipment. The hotel has a large restaurant, a wonderful lounge & bar while the six meeting rooms ensure that business travellers also have everything they need to make their trip perfect. 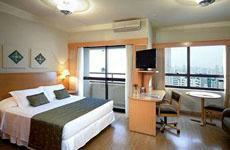 The Pestana Hotel is situated next to Ibirapuera Park and is one of the best hotels for leisure travellers to stay in. With the Butantan and Art Sacre Museum right next door, the Pestana Hotel is ideal for those who want to visit all the major tourist sites in Sao Paulo. The hotel has four incredible restaurants offering everything from local delicacies to international favourites. The proximity to the business district is also ideal for those looking to come into Sao Paulo for work. The hotel has 193 rooms, all designed to mimic the modern way of life in Sao Paulo. There are all kinds of luxurious amenities on offer while the hotel’s fitness centre is absolutely world-class. There is an indoor heated-swimming pool to go with the sauna and massage services. The hotel also has a heliport if required while the ample business and meeting spaces can cater to business travellers at all times. Right in the middle of the Bibi neighbourhood, the Tryp Iguatemi Hotel is right next to the Avenida Juscelino Kubitschek as well as the Avenida Brigadeiro Faria Lima. There are plenty of shopping malls and restaurants near the hotel while the hotel has a wonderful roof-top pool that offers breathtaking views of the city. 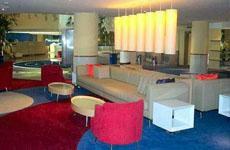 In its 210 rooms, the hotel offers some of the most modern and flamboyant amenities to its guests. A non-smoking hotel, the Tryp Iguatemi has a fantastic restaurant, bar as well as a full-service business centre.